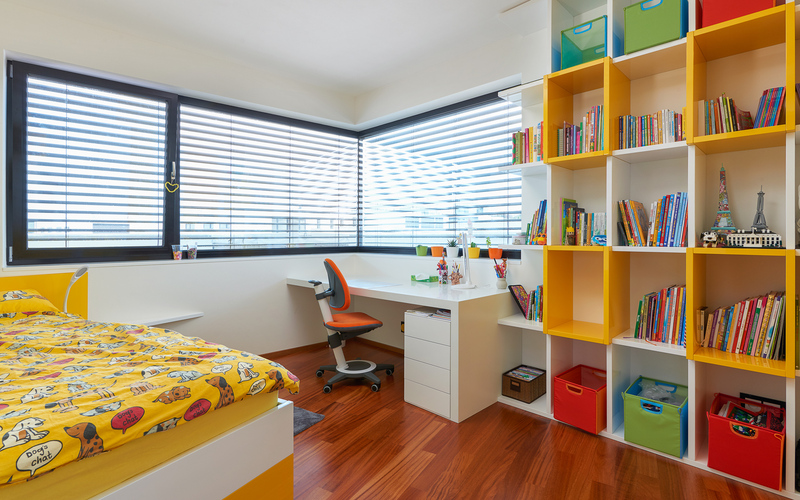 Children room in bright colours. 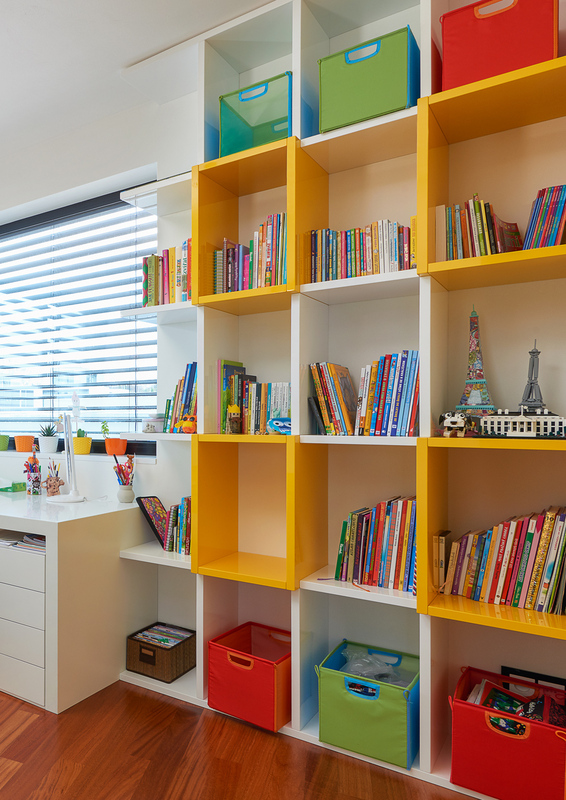 Not only the coloured bookcase, but also the bedroom in the same hues attract the attention of everyone who enters the room. 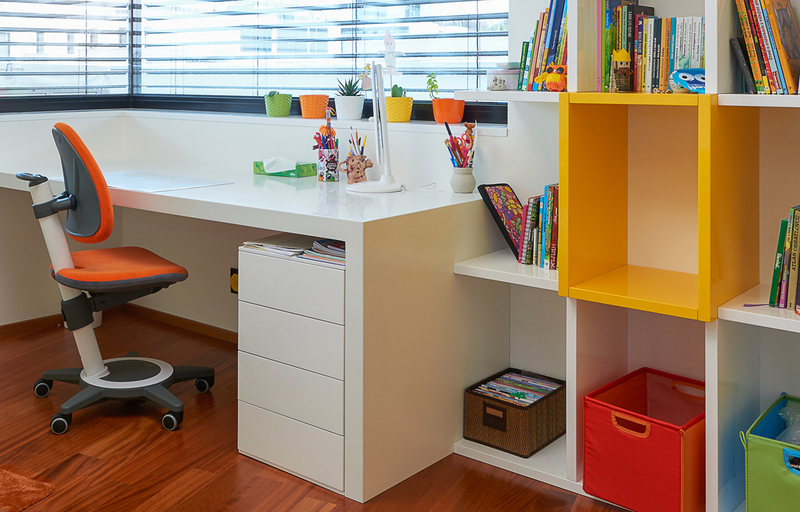 with a white lacquer desk is spacious and providing sufficient daylight. Practical pull-outs without handles and with TIP-ON opening provide enough space for exercise books and writing tools. dominates the room thanks to its coloured design. It serves for storing books, games, toys and other favourite mascots.